The ISFA Fabricator of the Year is awarded to an individual of a fabricator member company that in the past year has “best exemplified the ISFA ideals of quality, innovation, character and exemplary service” to the decorative surfacing industry. 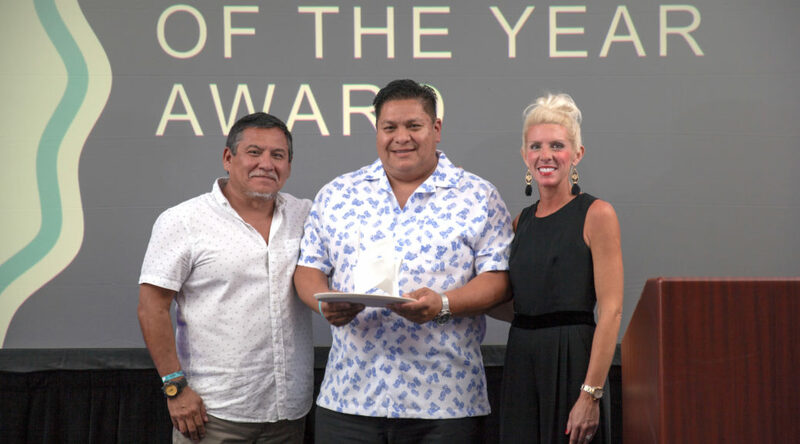 ROCKin’teriors and its founder Laura Grandlienard were awarded “Fabricator of the Year” for its commitment to quality, ethics and customer service in the delivery of sustainable stone fabrication and installation. Other organizations recognized at the 2018 ISFA Awards held in Cancun, Mexico: CREA Diffusion won the ISFA Innovator Award; Park Industries won the ISFA Envision Award; and CountertopResource.com was named Associate of the Year. ROCKin’teriors is an eco-friendly natural stone showroom and fabrication company that believes in preserving the beauty of Mother Nature through professional design, fabrication and installation of stone in residential and commercial buildings. Founded in 2008, ROCKin’teriors operates a 7,000 s.f. workshop and design studio that offers a dust-free and silica-free workplace, along with the industry’s most advanced technologies for water reclamation. ROCKin’teriors is one of only five North Carolina companies accredited by the Natural Stone Institute to fabricate marble, granite, travertine, limestone, quartz and onyx and other natural stones. The company is also the Triangle region’s first certified fabricator of sintered stone from NeoLith, Cosentino Dekton and Lapitec, plus high-end quartz products from Cambria, Caesarstone, and other semi-precious surfaces made from recycled glass, porcelain and quartz. 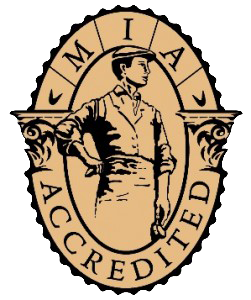 Only 94 companies have achieved accreditation among the industry’s 17,000 stone fabricators in North America. The International Surface Fabricators Association is a not-for-profit trade association dedicated to helping its members become more profitable through education, fostering professionalism and promoting the countertop industry. For more information contact Communications Director Kevin Cole at 815-721-1507, or kevin@isfanow.org. Previous PostROCKin’teriors, Natural Stone Institute Build Smart Homes for Wounded VeteransNext PostStone World Exclusive: Helping America’s Veterans R.I.S.E.